← Where Do I Find the ONE? The adventure will last hours but it will feel like days. I’m trapped in one of the most chaotic experiences of my life. I creep along with the crowd, a mixture of Israelis, Arabs, and foreign visitors from around the world. Our team of 35 Americans is crossing from Jordan into Israel. 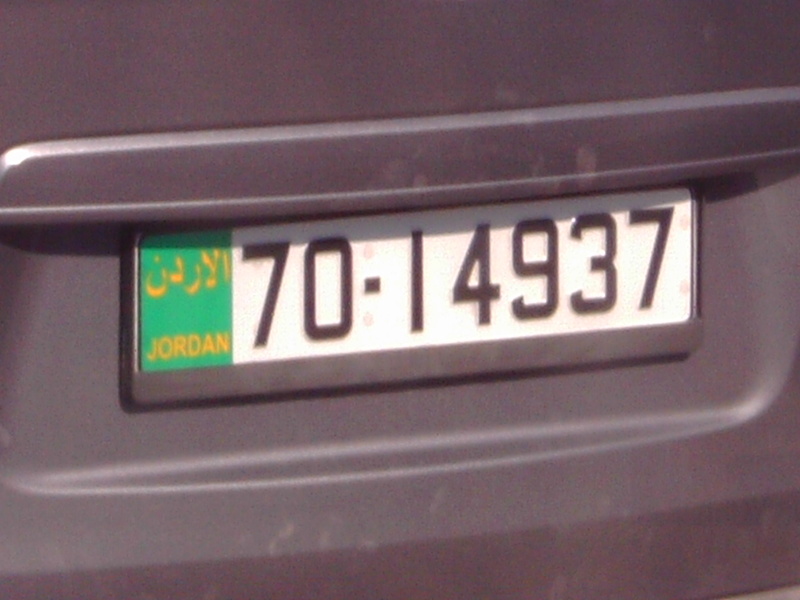 A Jordanian license plate serves as a reminder of our day's beginning. From the start, I’m confused. One bag of luggage has disappeared. My hope is that it will reappear somewhere between now and the end. Then I hand my passport to our team leader, follow the creeping crowd, and reverse my steps to retrieve my passport. I will do a lot of retracing steps before the day ends. My passport will go in and out of my possession a minimum of five times. My bags will disappear within moments of getting off our Jordanian bus and I will not see them again until a few moments before reloading on our Israeli bus. Several friends will have to step behind a curtain and be searched more thoroughly. I am thankful that I make it through that checkpoint without incident. Mind you, in the midst of all this, a man in civilian attire walks among us with an automatic weapon pressed against his thigh and a finger pressed against the trigger. People push against one another jostling for a better position, hoping to stay close to friends and family, and wanting to move further faster. Our desires will remain unrealized. In the case of our team, we will be strung out like a poorly organized wagon train—some moving more quickly to the finish line than others. I will be closer to the end of the wagon train than the beginning. Between the fourth and fifth passport checkpoints, we have to back track, take a detour, and cross a wide expanse of building. No signs guide us through this part of the journey but something special happens at this point. Annette, a person who has neared the finish line, has come back to those who lag behind. We continue the journey, finish the crossing, and rejoin one another on the other side. Joy fills the bus as the last person steps aboard. An Israeli license plate serves as a reminder of our day's end. Lessons emerge out of the chaotic conditions. 1) A lost condition brings confusion. Or you could state the same truth in reverse. Confusion results in a lost condition. Either way you don’t like the experience. When we’re lost or confused, we need to look for help. When others are confused or lost, we need to offer help. 2) A guide through the confusion is a blessing. When someone offers help, you receive the blessing. When you’ve received help, you pass on the blessing. 3) Joy results when that which was lost is found. Our bus reverberated with the sound of victory when Shirley stepped aboard. We rejoiced at the return of her wandering suitcase, the final piece found which allowed us to move on with our journey. Because of that moment on the bus, I better understand the celebrative imagery that emerges in Luke 15 when the physician with an evangelist’s heart shares three stories of lost things (a sheep, a coin, and a son). Question: how did you endure and/or escape a chaotic, confusing time in your life? This entry was posted in Lessons from the Holy Land and tagged confusion, lost, rejoice. Bookmark the permalink. Hope all is going well over there! It went well. I’m home now. That’s the reason for my week-long silence. Slow Internet connections. Wonderful experience with loads of insights though. Wow, Tom, what a great trip! 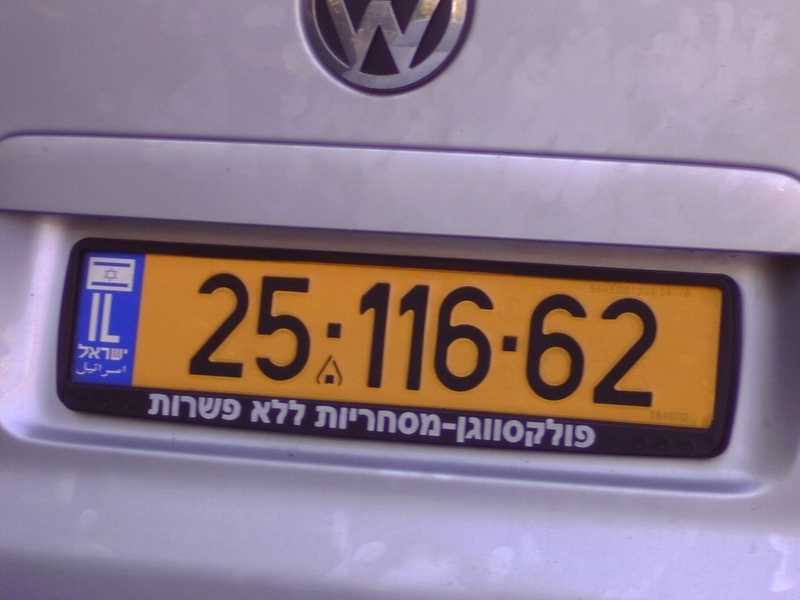 I have read this post and do not quite understand the Israeli license plate. Do the numbers represent scripture? I need more explanation, please. Pray all is well with Ellen. In HIS Love, Donna H! I couldn’t photograph the border-crossing process (that’s frowned upon in any country) so I used the two pictures to signify the transition from one country to the next. Both license plates are simply license plates. If there’s any significance to the numbers, it’s inadvertent.